Standard - £44.99 Only 8 left! Some people think that sloths are the laziest creatures in the animal kingdom. Us? We like to think of them as the most chill creatures on the planet! They never seem to be in a hurry and they always have the time to take things slow and relaxed. It's an attitude that all of us silly humans could learn a thing or two from. 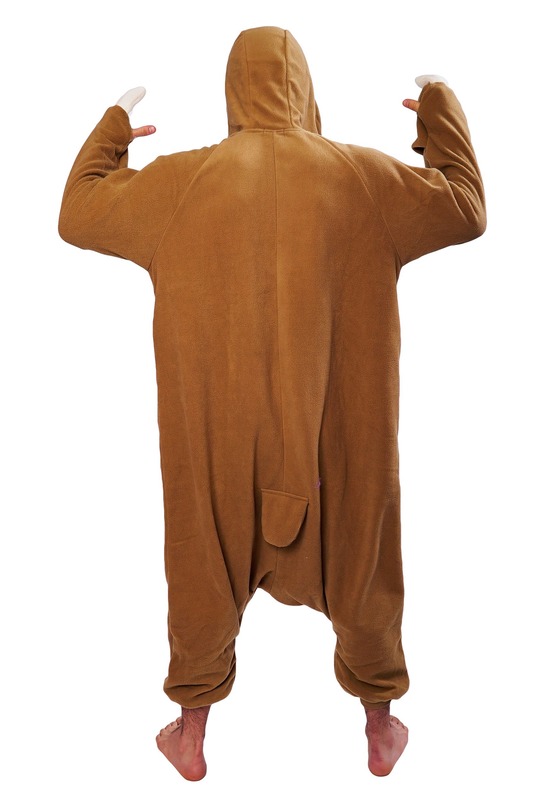 That's why this Adult Sloth Kigurumi Pajama Costume is so great. It has a Japanese influenced style, a relaxed, comfortable fit AND it lets you channel your inner sloth! While wearing it, you may find yourself moving a little slower and taking the time to smell the roses. 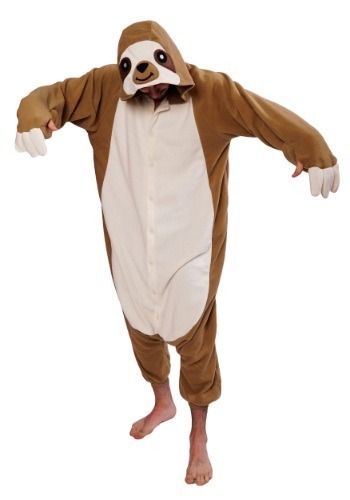 Of course, when you get a little sleepy living the life of a sloth, you'll be able to transition into nap mode since this costume has an ultra comfortable design that will have you sleeping like a baby...sloth.